Last weekend my parents slaughtered a pig at Sarah’s house. It took them three days to cut up the meat. Sarah’s family even bought a new, full size freezer to store the meat. 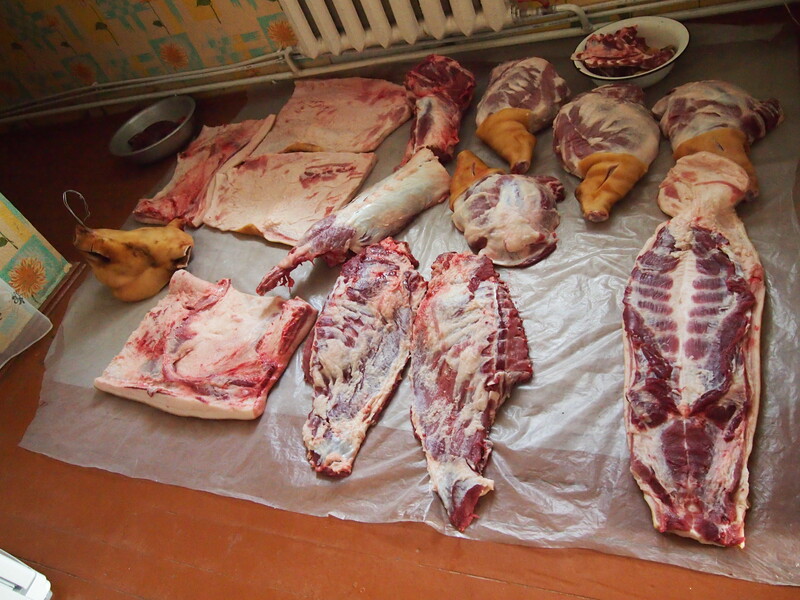 For the past week, I’ve been eating nothing but some assortment of pig meat and guts. I wasn’t able to stomach the baked intenstine stuffed with with blood and organs, but the rest was quite tasty. Sarah was able to capture these shots of my host Mom and Dad during the process. They depict each of them very well – Tatiana will eat anything and everything and has a stomach of a rock. And Yuri, a builder by profession, has some crazy strange skills. 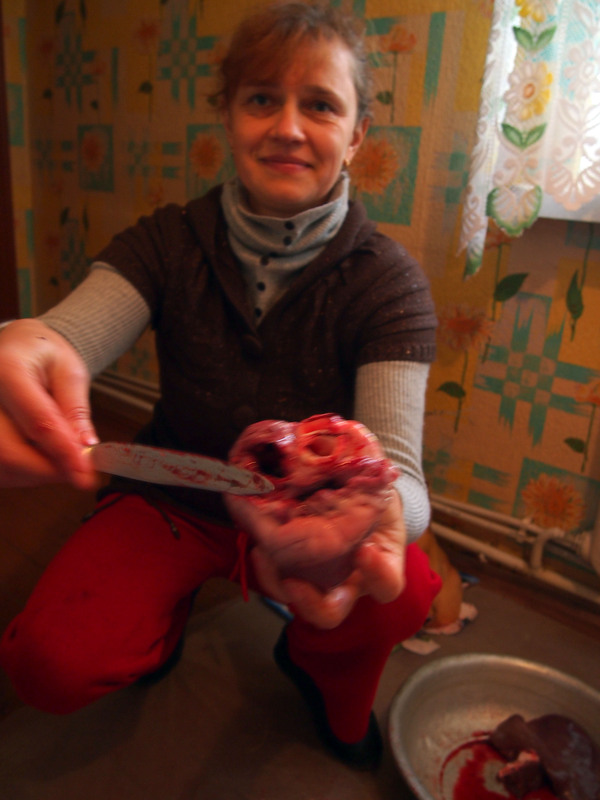 My host mom at her finest - cutting up a Pig's heart. Yuri with his battle axe. A sample of the final product, minus the bowl of organs and blood.